John Galsworthy (1867-1933) was an English playwright and novelist who was awarded the Nobel Prize for Literature in 1932. 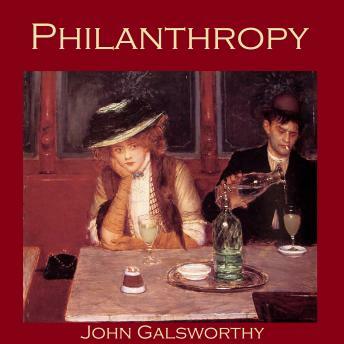 "Philanthropy" is the story of a man who is approached by a drunken couple with a sob story, hoping to scrounge some money from him. The experience causes him to explore the underlying motivation for his habitual philanthropy and discover that it is not as altruistic as he had supposed.